This group may seem very clear to whom will emerge from it, but the clash between Bayern and Roma promises to be exceptional. Bayern ran their luck all the way to the final last year, effectively with Arjen Robben bailing them out twice in the nick of time (Fiorentina/Manchester United) but they were well worthy of being in that final. Louis Van Gaal has built a tremendous side there, with the only weak area really being the left back, Holger Badstuber, which is incredibly harsh on a rookie. Last year marked a turning point in the wilderness for Bayern. Philipp Lahm finally managed to eradicate his form of a few years back, captain Mark Van Bommel is his usual combatant self and of course the combination of Franck Ribery and Arjen Robben destroying full-backs and defences in general. Add to that some underrated talent up front in Ivica Olic, Thomas Muller (who came of age at the World Cup), Miroslav Klose and Mario Gomez and Bayern should look at least making the quarter finals. The only worry is the centre-back pairing of Van Buyten and Demichelis (a rumoured Chelsea signing) who were given the run around by Diego Milito in the final last year, and also the lack of big name summer signings. It shouldn’t be an issue really as Van Gaal is a master at getting the best of his players, that and his desire never to throw the towel in. Roma are also very strong this year, following on from pushing Inter right down to the wire for the Scudetto. Ranieri’s improved the team a lot since he took charge, but can he convert that to European success? The centre back pairing of Juan and Mexes looks solid, but could be susceptible in the later stages. The addition of Adriano leaves a lot to be desired really, considering he doesn’t look near his former best. But Roma can call upon a superb midfield engine in Daniele De Rossi, Simone Perotta and David Pizarro, the latter being severely underrated as a central midfielder. They’ll rely on the everpresent and ever controversial Francesco Totti and Mirko Vucinic to bang in the goals, but is that enough? FC Basel return to the Champions League after playing the Europa League last year, full of Swiss internationals who started with a bang in South Africa then ultimately petered out. The stand out players here would certainly be Benjamin Huggel, who is a consistent defensive midfielder, although at 33 could find the Roma and Bayern game tough. Up front is Alexander Frei, who has an impressive goal to game record at Basel, but again could be left wanting at this level, and his best days at Stade Rennais well in the past now. All in all, Basel have a look of Bolton about them, but a Euro version. It could work but most probably won’t, although Thorsten Fink who replaced Christian Gross as manager, has done a great job to get them here. Finally CFR Cluj make another appearance in the Champions League, following on from two season ago where they beat Roma in the Stadio Olimpico. Serious doubts over whether they can top that. Like many Eastern European sides, they’ve got tons of journey Brazilians, none of which really have lived up to their potential. Cadu, their captain has been voted the best defender in Romania two years running will have to be at his upmost best to keep Vucinic, Olic and co at bay. They are managed by Andrea Mandorlini, who’s finally found success at a club after knocking around Serie B for 10 years. Carlo Ancelotti should be fairly content with this group albeit it conjures a travel nightmare for their away games. This shouldn’t be a problem for one of the richer clubs in the world. Their signings over the summer have certainly bolstered their midfield options. Ramires adds another wide player, something pundits have claimed Chelsea have lacked, and Yossi Benayoun is a decent back-up in the Joe Cole benchwarmer role. We all know of Chelsea’s strengths, but this season could be an opportunity for younger players to make an impact, notably Daniel Sturridge and Jeffrey Bruma, a sturdy centre-back. They shouldn’t have any issues here. The return of Didier Drogba to the Velodrome is the highlight here, and he should be given a rapturous reception by the Olympique fans. Which is a deep contrast to the internal struggles currently going on at the club. Didier Deschamps may have led them to the Ligue Un title last year but since then he’s seen several of his best leave the club, notably Mahamadou Niang (who wanted a fresh start at Fenerbahce) and Hatem Ben Arfa’s loan to Newcastle is imminent. Apart from that, they’ve had a pretty poor start to the season, although they finally won last weekend. 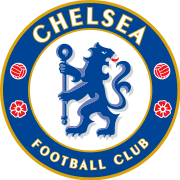 Players for Chelsea fans to be wary of include Benoit Cheyrou (who’s better than Bruno), Mathieu Valbuena who should thrive under no competition from Ben Arfa and finally Gabriel Heinze, who’s attributes are clear to Premier League fans. Spartak Moscow could surprise a few. Firstly, the Luzhniki stadium (not a happy hunting ground for Chelsea and John Terry) could see teams fall foul of the artifical turf, yet Inter and Manchester United didn’t have issues last year. The weather in November could be another factor that could catch teams out. Apart from that, they’ve signed Aidan McGeady from Celtic who will be looking to do better than Garry O’Connor at Spartak. Welliton has been in stunning form in this year’s league bagging 13 goals for himself. They will be tough to beat at home, but could come a cropper away. Finally, MSK Zilina qualified after eliminating Sparta Prague. I won’t try and claim that I know much about the side, but I promise a further blog into the side, before the Chelsea game. Either way, its a great achievement for the Slovakian side. The group that got everyone salivating. 20 European titles between three of them, and throw in Auxerre who were sensational to beat an albeit 9-man Zenit, and you have potential for some great action. Plus Kaka returns to Milan again, Clarence Seedorf and Klaas-Jan Huntelaar could return to two of their former clubs. Mouthwatering. This group is difficult to call. Many have touted Real Madrid as the favourites for the trophy itself but Jose Mourinho would have liked to get an easier group. 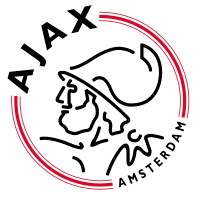 He drew a great top seed really, avoiding the English sides, but Ajax could easily throw a proverbial spanner in the works. It also remains to be seen whether he can co-exist with director Jorge Valdano at Real, since it seems inevitable there will be a power struggle of sorts. Will Jose adapt his style, most probably considering he has most times he’s joined a league. His summer signings have been great, Mesut Ozil was a nice bit of business for the fee, but Ricardo Carvalho could be a masterstroke. Real look weakest in defence, and it seems perfect for him to buy a player he knows so well, and generally improves his centre-back partner, which is great news for Sergio Ramos. Add to that the exciting duo Angel Di Maria and Sergio Canales (if given games), and you can see why Real have been installed as tournament favourites. That spectre of the 2nd round haunts them but not this time. AC Milan on the other hand could struggle. Forever aging, forever manager changing, this could be a season of disappointment for the Rossoneri. That being said, some astute deals in signing Kevin Prince Boateng on loan and the impending Zlatan Ibrahamovic transfer possibly will strengthen a side that lacks youth and a good frontman. Alexandre Pato will be looking to prove Dunga wrong for not selecting him for the World Cup and the duo of Seedorf and Pirlo have undoubted quality. They’ve also signed Marco Amelia on loan from Genoa to amend the goalkeeper problem, Abbiati is a liability at times. Ajax finally return to the top stage, under Martin Jol, who encourages attacking football in his side. The frontline looks superb, particularly Luis Suarez who’s been dynamite up top for 12 months now. They’ve signed his international teammate Nicolas Lodeiro to strengthen the backline, which looks a lot better that it did, with Dutch international Gregory van der Wiel being the best of the bunch. The midfield looks decent, particularly Urby Emanuelson bombing down the left flank and Demy De Zeeuw, a supremely able midfielder. Ajax have huge potential. Finally Auxerre, the outsiders handed a monster task. They dumped Zenit out to get here, and contain some quality players such as Stephan Grichting, a robust Swiss defender, Ireneusz Jelen and Anthony Le Tallec forming a good partnership up front. They will be dangerous from set-pieces mostly as Zenit found out. Had they been in an easier group they could have done well. 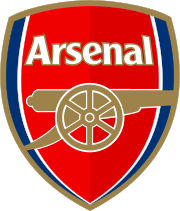 Finally we reach the Gunners group, which looks good on paper but not so great once you delve into the logisitics of things. Wenger’s side always promise it to be their year but ultimately this passes on from season to season. This has to be their year in my opinion to win a trophy, will it be this one? They’ve managed to keep hold of Cesc Fabregas, but his move is inevitable this following summer. The signing of Laurent Koscielny from Lorient looks to be another Wenger work in progress, and Squillaci from Sevilla will provide that experience so desperately needed. Jack Wilshere will be given time too, which is great news from an England stand-point in the long-run. Theo Walcott looks to have improved following his World Cup snub, deserved in my opinion and could mould himself into a great talent finally. But that underlying issue of the goalkeeper remains. Manuel Almunia looked assured against Liverpool and can’t get the critics off his back. Even if Arsenal did sign Schwarzer it’s a short term measure and more for the league than here. Arsenal should coast this group really. There will be a quick reunion with former striker Eduardo after leaving for Shaktar in the summer, a good move for them since he lost pace from his leg injury and could make the Ukrainan league his playground. Other that Shaktar may look flash but otherwise don’t impress me. I saw them against Fulham in the Europa League last year. They dominated but couldn’t finish at home, and it ultimately cost them. Sounds a lot like another team in this group (I jest). Jadson is really their best player who looks skilful and a great finisher (notably in the Europa League final of 2009). The signing of Dmytro Chygrynskiy from Barca will shore up a weaker defence. Pep Guardiola didn’t want to let him go apparently, but the board needed to create funds. Braga provided the biggest shock of qualifying beating highly fancied Sevilla in a thriller of a game. They almost won the Liga Sagres last year until a late collapse. They looked great upfront midweek, especially striker Lima who got a hat-trick. That being said they looked a bit shaky at the back, so improvement is needed there. But as Celtic and Sevilla found out, this side is lethal from a set-piece and from all around play really. Expect flair and passion from them for sure. They also have a player called George Lucas. I hope to god he hasn’t seen Brazilian Star Wars. So there we have it. After today’s Europa League I’m not as excited about this draw as I was, but come September 14th I’m sure I’ll change my mind when Bremen take on Spurs.